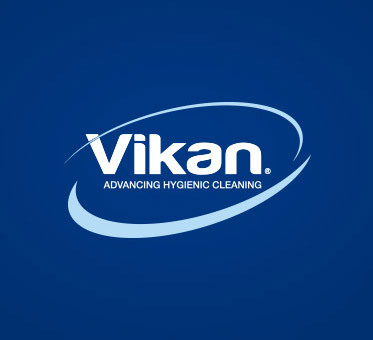 Vikan is the world’s leading supplier of hygienic cleaning tools for the food and beverage industry and other hygiene-sensitive environments. With headquarters in Denmark and over a century of experience, we’ve amassed the industry’s biggest bank of hygiene and regulatory insights, and used this to develop the world’s most effective professional cleaning tools and advisory services. All to make sure that our customers can deliver each and every product they manufacture with pride and confidence. When you do business with Vikan, you can count on a hygiene partner that is acknowledged worldwide for professional tools, expert advice, functional design, superior quality and a pioneering spirit. we help our customers live up to their hygiene ideals. Majority-owned by a charitable family foundation, Vikan is a value-driven company. Vikan is a global force in the cleaning industry, with sales of professional-grade cleaning tools in more than 90 countries. Despite our global reach, we operate with a local business mindset that always puts customers first. Vikan supplies high-quality microfiber mops and cloths, plus dustpans, trolleys and more to make cleaning easier and more efficient for restaurants, hospitals, schools, supermarkets and other public buildings. The Vikan Transport range includes more than 70 professional cleaning tools designed to help you clean the interior and exterior of any type of vehicle effectively and efficiently.